IRVINE, Calif., May 2, 2018 – (RealEstateRama) — CoreLogic®(NYSE: CLGX), a leading global property information, analytics and data-enabled solutions provider, today announced it has converted the native Matrix multiple listing database of My Florida Regional MLS (MFRMLS) to the Real Estate Standards Organization (RESO) Data Dictionary format, paving the way for future innovation and enhanced data accessibility for real estate brokers, technology providers and other multiple listing organizations. MFRMLS is one of the largest multiple listing organizations in the nation with over 55,000 subscribing customers. MFRMLS uses the Matrix™ multiple listing platform by CoreLogic, which today serves more than 780,000 end users, making it the most widely used listing platform in history. CoreLogic is the industry leader in assisting multiple listing organizations achieve RESO compliance. For organizations that don’t want to undertake a native database conversion, Trestle™ is a simple and affordable solution for distributing RESO platinum-certified data, managing contracts, billing data recipients, enhancing security, and more. Nearly 130 organizations representing more than half a million real estate professionals are RESO-certified through Trestle today. My Florida Regional MLS (MFRMLS) is Florida’s largest multiple listing service, and one of the largest MLSs in the country. MFRMLS provides more than 55,000 real estate professionals working in more than a dozen Florida counties with the data, tools and support they need to do business. MFRMLS data drives the real estate marketplace for Central and Southwest Florida. The company was incorporated in 1995 and is headquartered in Altamonte Springs, Fla. MFRMLS is owned by 14 REALTOR® associations and boards. MFRMLS also owns and operates the consumer home search site, State27Homes.com. Visit mfrmls.com for more information. 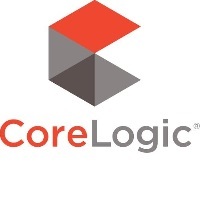 CORELOGIC, the CoreLogic logo, MATRIX and TRESTLE are trademarks of CoreLogic, Inc. and/or its subsidiaries. 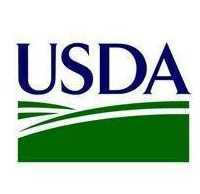 All other trademarks are the property of their respective owners.